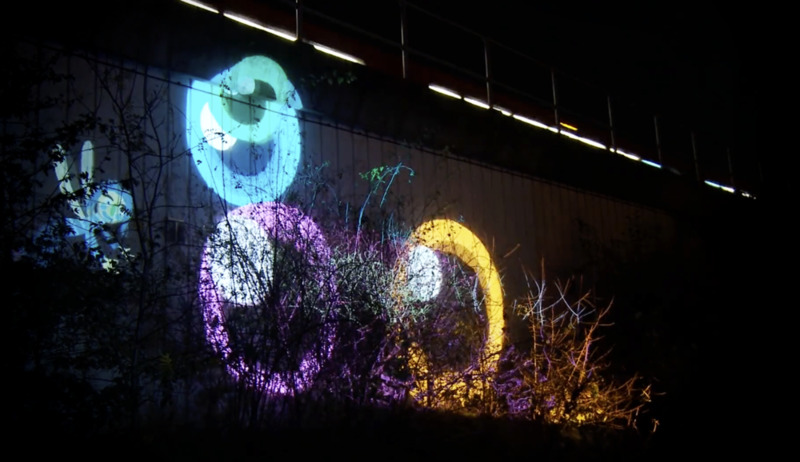 A Lovely Light Commission where I created live projection content over 4 locations in London and Bradford as part of a celebration of light. The Brickbox said "A celebration of light, community and energy, we produced Little Light Nights in the autumn of 2015. 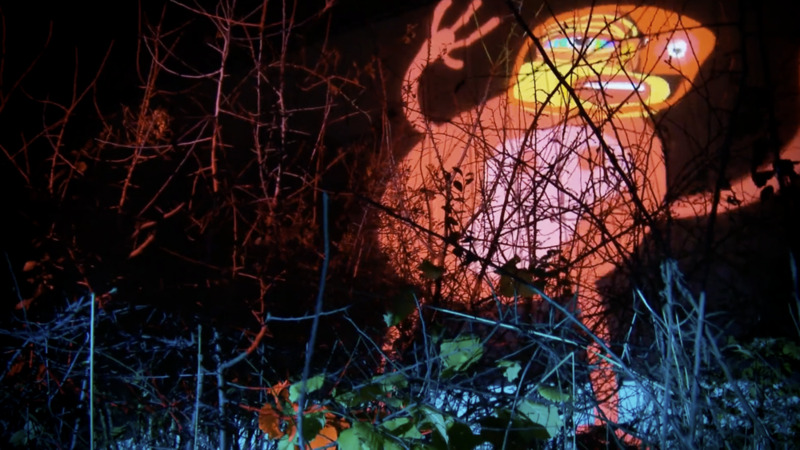 We invited people to play with light, music, shadows, puppets and friends in the cobbled streets and city squares of Bradford, and the quiet tidal creeks and urban corners of London. This was a ground-breaking project over four different locations with interactive installations, live performances, a cosy bar and excellent tunes to keep toes tapping. The programme of interventions, installations and events entertained and illuminated, presenting commissioned moving-image, performance and puppetry work from Bradford and London artists including Fabric Lenny, James Islip, Hilary Sleiman, Jonathan Hogg, Andy D’Cruz, Jean Mcewan, Lou Sumray and Chemaine Cooke. In Bradford, refreshments were provided by Bradford’s very own Sparrow Bar and The Record Cafe, and music from the No Hands Collective while at the A13 we had the delicious Davina’s Call Me Back Kitchen and tunes from DJ Sonic. In addition, we had unique local performances in each location including dhol drumming, Bollywood dancing, live hip hop and a 27 person strong techno drum orchestra!"